DLT is becoming more accepted by banks and financial institutions that are in the process of developing use cases and rolling out the technology. HSBC has settled around three million FX trades worth up to $250 billion using blockchain, suggesting the new technology is becoming widely accepted in day-to-day operations. The solution, called HSBC FX Everywhere, has been used over the past year to orchestrate payments across HSBC’s internal balance sheet. Using a shared permissioned ledger, it transforms the process around intra-company FX activity, automating several manual procedures and reducing reliance on external settlement networks. “Following successful implementation inside the bank, we are now exploring how this technology could help multinational clients – who also have multiple treasury centres and cross-border supply chains – better manage foreign exchange flows within their organisations,” said Richard Bibbey, interim global head of FX and commodities, HSBC. While the sum represents only a small portion of HSBC’s overall currencies business, it suggests distributed ledger technology (DLT) is becoming more accepted by banks and financial institutions that are in the process of developing use cases and rolling out the technology to improve daily activities. 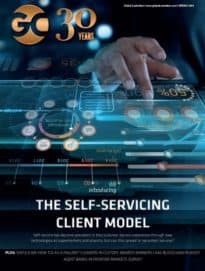 Last year, nine financial institutions including Barclays, Citi, Goldman Sachs and Morgan Stanely participated in a proof of concept developed by FX settlement specialist CLS and IBM for a blockchain-powered services platform. The services include know-your-customer processes, collateral management, derivatives post-trade processing, reconciliation and market data. DTCC has also backed a blockchain platform launched by Amazon Web Services (AWS) to explore possibilities using Hyperledger Fabric for post-trade services. It has also begun testing a DLT platform with 15 global banks for its credit derivatives Trade Information Warehouse (TIW).